New and Improved! That is the title of a special article I’ve written this month. 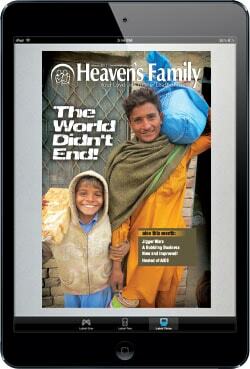 It will take you behind the scenes at Heaven’s Family as I share some changes that are in the making. 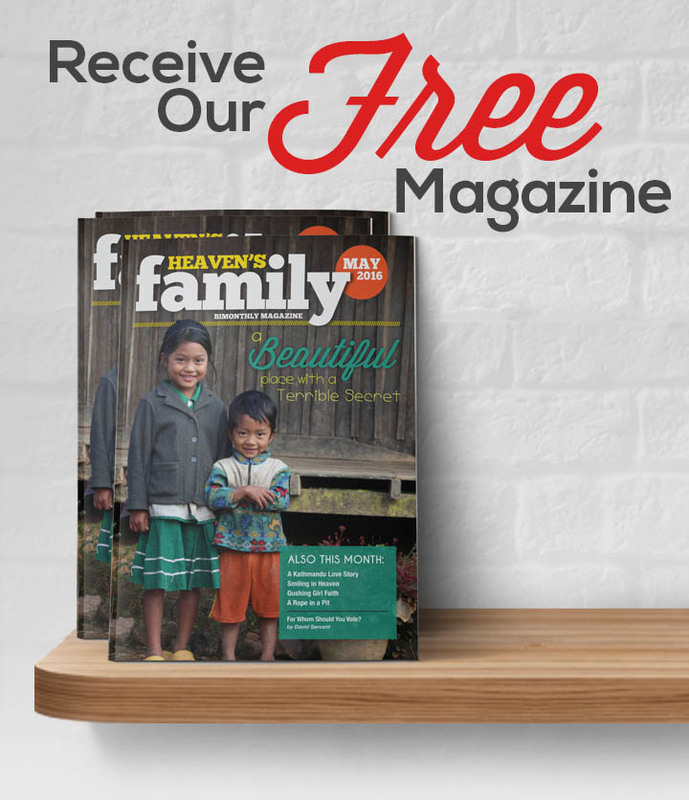 If you read nothing else in this issue, please read my article—to learn about how Heaven’s Family is improving to better serve the “least of these” (and you as you serve them). Like you, we’re really not growing older (since heaven-bound folks live forever), we’re growing better! Four of our Focused Fund directors also share good reports this month. If you’ve been laying up treasure in heaven by means of the ministry of Heaven’s Family, you are going to be encouraged by what you read. Highlighted this month are stories about parasite eradication in a Kenyan slum, disaster relief efforts around the world, small business start-ups in communist Cuba, and the testimony of a prison minister in that same nation who was healed of AIDS. All of this ministry begins with you, and your continued compassion keeps it going. Thanks for being a part of the Family! 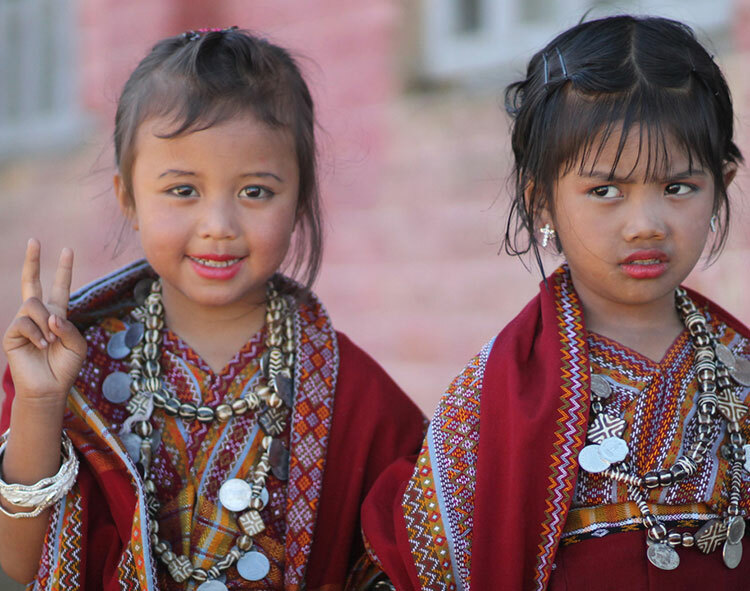 HF staff member Jeff Trotter snapped these two little Burmese beauties who were arrayed in traditional dress. While one potential future Miss Burma seized the opportunity to express the universal hope of beauty queens for world peace, the other seemed poised to unload a piece of her mind!